Enables Opus to display metadata for various audio formats. Directory Opus is a file manager for Windows. Read my guide, Getting to know Directory Opus, for an introduction. The plugin gives Opus the ability to display metadata and cover-art thumbnails for various audio formats. This is in addition to Opus's built-in support for MP3 and WMA. 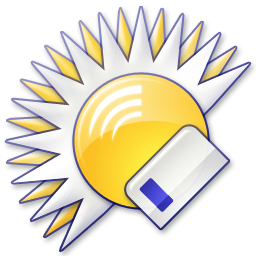 Unlike the dMCTags Plugin, this plugin supports 64-bit and does not require any third-party software. The plugin supports the formats listed below. 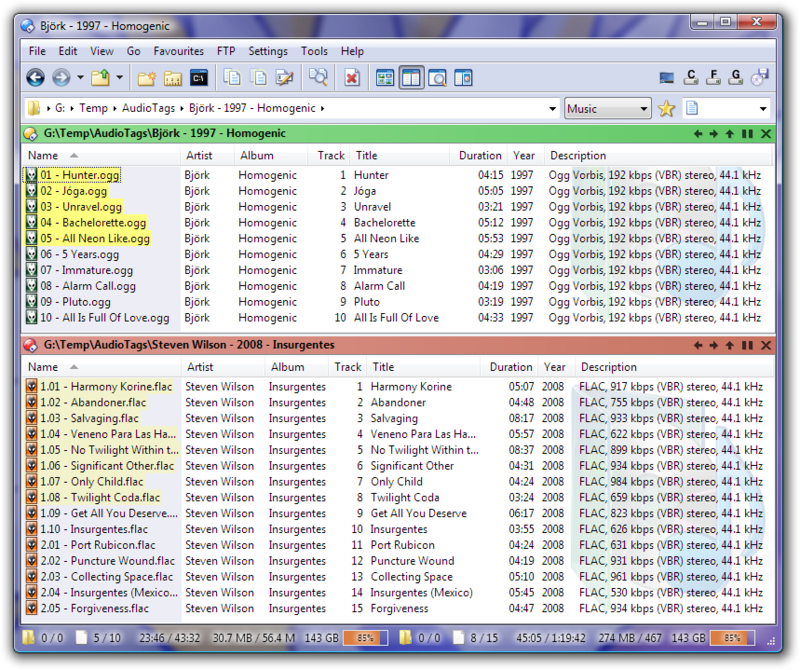 Directory Opus showing some Ogg and FLAC metadata. The Audio Tags plugin is packaged as part of Directory Opus itself but you may sometimes find a newer version here. You should already have the latest version of the Audio Tags plugin if you have Opus 10 or above. The latest Audio Tags plugin that still supports Opus 9 should already be on your machine if your Opus 9 version is up-to-date. You should use the older Ogg/FLAC plugin instead as it works with Opus 8. The Audio Tags plugin requires features of Opus 9 and will not work with Opus 8. There is no similar plugin which works with Opus 6. Comes with Directory Opus 12.1. Comes with Directory Opus 11.17. Now handles incorrect FLAC files with ID3 data before the "fLaC" header by skipping over it. Comes with Directory Opus 10.0.3.3. Extracts copyright fields from Ogg/FLAC/Spx/APE. Recognises Album Artist tags on APE files written by dBpowerAmp (different tag name to Mp3tag). Comes with Directory Opus 10.0.3.2. Support for Disc Number and Album Artist tags. Comes with Directory Opus 10.0.0.0. Tag and thumbnail support for iTunes AAC/M4A/M4P and Apple Lossless (ALAC). Tag support for Monkey's Audio (APE). Tag support for Speex (SPX). Thumbnail support for Ogg Vorbis and FLAC (in addition to existing tag support). First proper release as part of Directory Opus 9.1.2.0. This first release of the plugin is intended to replace the old Ogg/FLAC plugin. Supports Opus running from USB sticks (i.e. no registry changes). Supports Unicode filepaths and tag data. The plugin's C++ source code is available from the Pretentious Name Opus Plugin Source page.